Making the most of your strengths requires focused effort throughout your time at Meredith. That’s why we created StrengthsLab – a dedicated space on campus for every student to work on her strengths with a variety of resources that support strengths development. What happens in StrengthsLab? 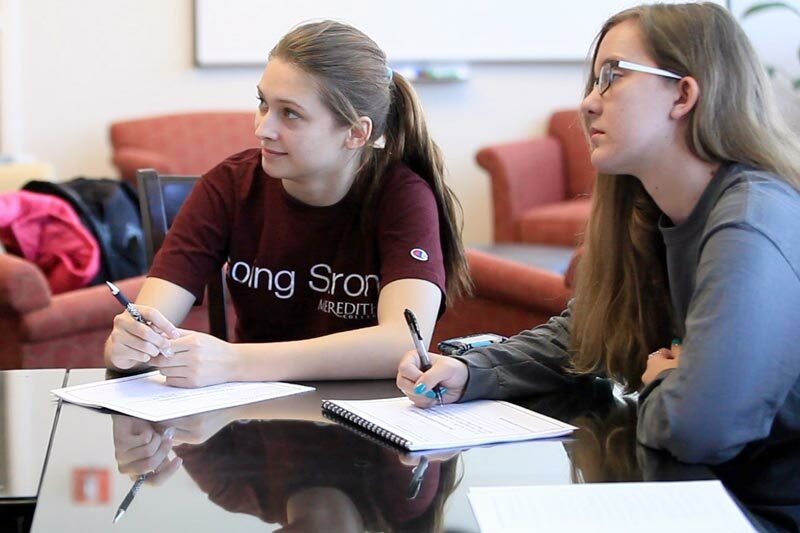 In addition to individual student work, the StrongPoints team frequently hosts events such as senior send-off and a strengths-based leadership series. And campus departments offer programming such as workshops on strengths-based resumes and mock interviews with employers.